What is the Clinical Trial Process? 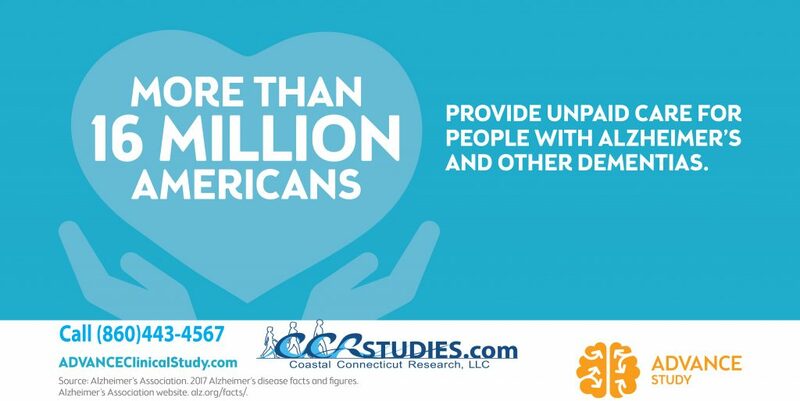 Do you or someone you know suffer from Alzheimer’s disease? Do you- or they- sometimes feel agitated, anxious or upset? You may wish to participate in the ADVANCE clinical research study evaluating a new investigational medication for agitation caused by Alzheimer’s disease. We’re inviting you to take part in the ADVANCE study. You may be compensated for your time and travel. All study-related care is provided at no cost. No health insurance is required. Call (860)443-4567 or email marylou@ccrstudies.com.